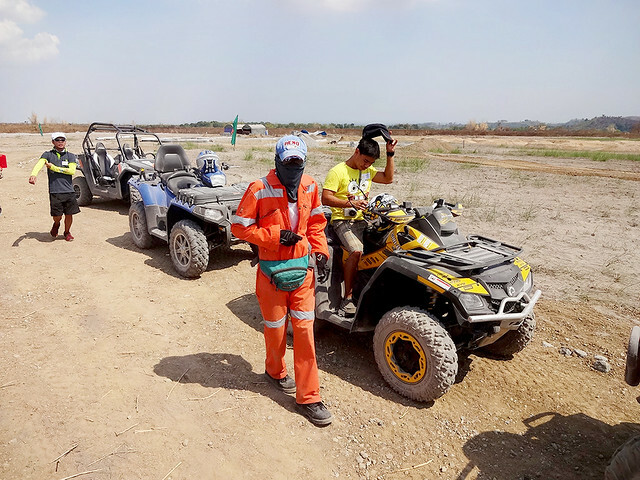 Somewhere in the town of Porac, Pampanga, right beneath the shadows of the mighty Pinatubo Volcano, lies Alviera township development by Ayala Land. And part of this development is the SandBox. 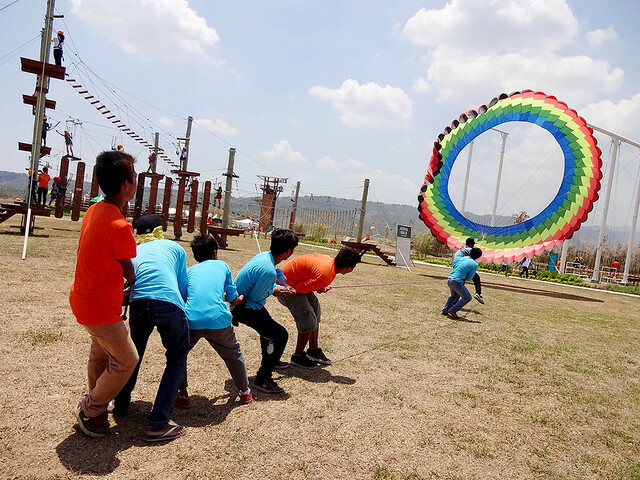 With an array of exciting attractions which are all prefect for families and barkadas, this activity hub will surely make you want to stretch some muscle fibers. 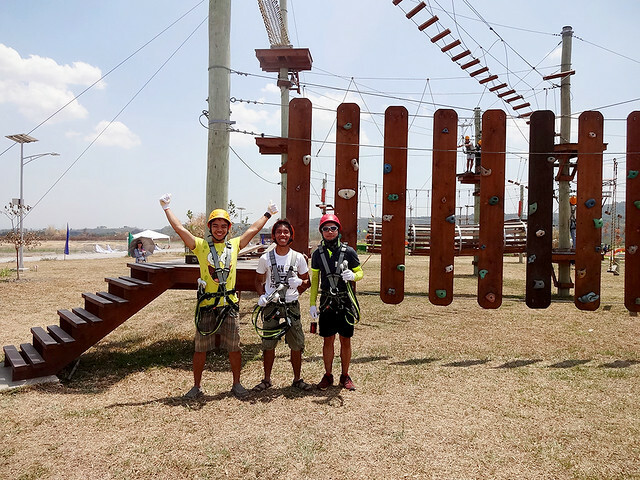 Together with my blogger friends, Darwin and Kuya Angel, we were invited in the media launch of The SandBox last weekend to try some of their adrenaline-pumping activities. What I discovered was a wholatta fun! 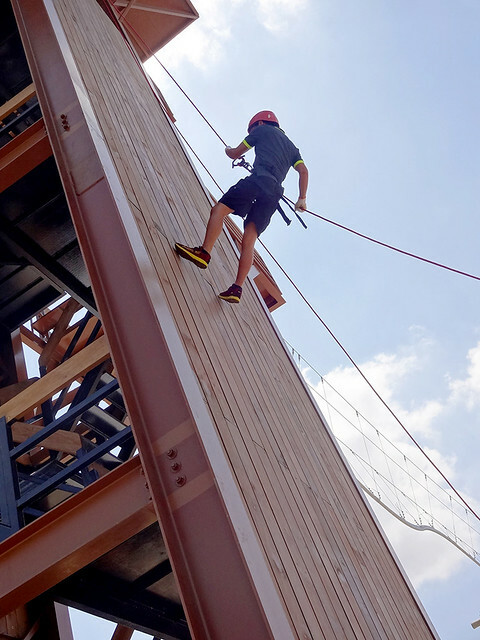 The first attraction we tried was The Adventure Tower, a 5-storey structure which offers 4 fun activities, namely rappelling, wall climbing, free-fall jump and a roller coaster zipline. 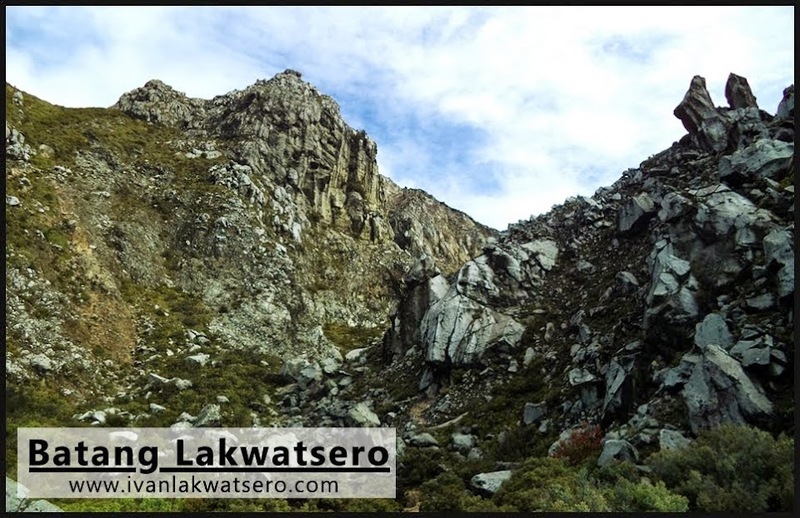 I only tried the rappelling and wall-climbing. Roller coaster zipline wasn't in full operation by that time and the free-fall jump, ughm, my heart was too weak to step up for that challenge. Then after the tower, I accompanied my friends in the 5,000 sqm pump-track. I can't bike so I just took photos of them. How unfortunate I was. Well, that's still one of my goals this year, I must learn to ride a bike. The wide open spaces and windy atmosphere of the place makes it also possible to fly kites. I've never done it before and I wished to do it here at the SandBox. They have a variety of kites from the simple paper and stick kites on a string, to the big one that are parachute-like. it takes seven heads to take hold of the power of the wind. Next to the kites is the Aerial Walk Challenge. It's a contraptions of ropes, pulleys and levers that will test the skills your learned from PE class (i.e. 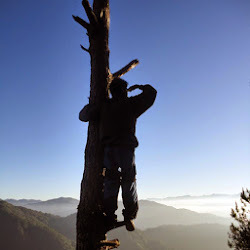 balance, agility, and flexibility). 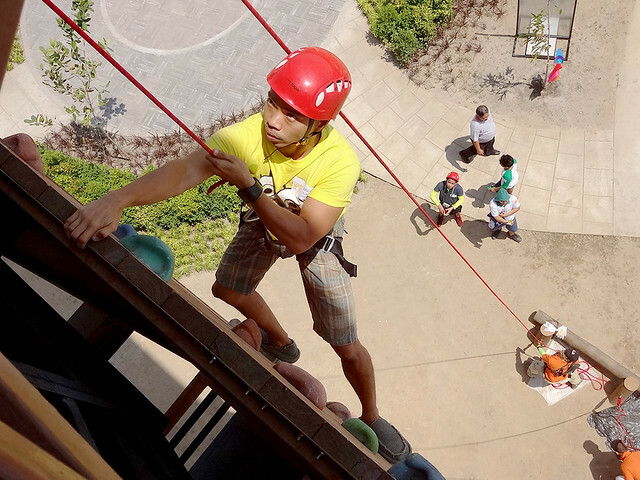 I love physical challenges, that's probably the reason why I enjoyed this attraction the most. 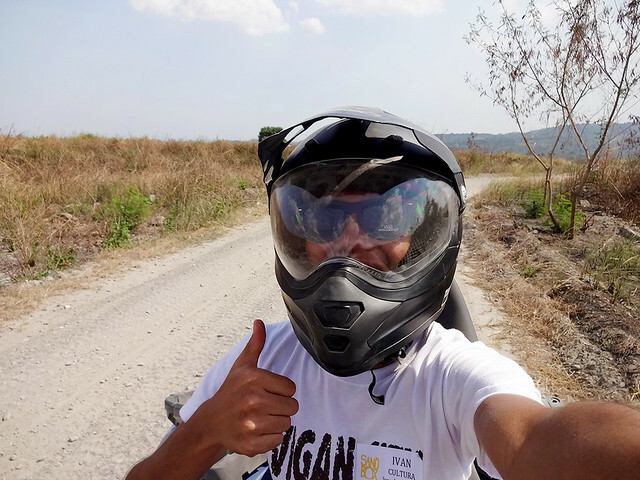 Lastly, we went for the ATV ride. Woohoo! 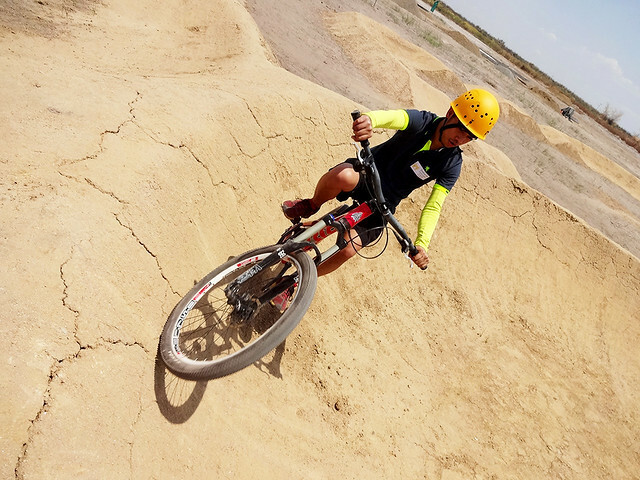 Without minding the clouds of dust and the sun's scorching heat which I think are all part of this activity, I enjoyed this short but fun loop-ride around the Alviera land. It was my first time doing this and I enjoyed it big time. Thank you Alviera for this wonderful opportunity to experience the fun of The SandBox.